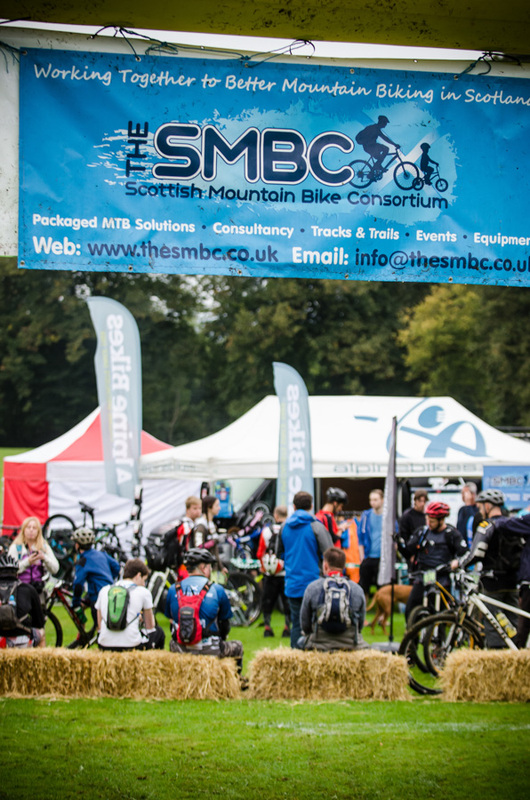 The SMBC plan and organise events of every scale, from a wee “event in a box” at a school or village gala to organising and promoting a month long festival of cycling such as the Angus Cycling Festival. We work with local authorities, landowners and cycling clubs throughout the planning phase to deliver the perfect event for the client. We can tailor every event to complement the venue, whether it is in a field or forest, public park or bustling city centre. We pride ourselves on our attention to detail and always ensure our events have family-friendly facilities, mountain biking activities for kids, quality food and drink (locally sourced where possible) and additional touches to make spectating more enjoyable for families – like undercover seating and plenty of toilets. Thanks to our family-friendly policy, our events generate an atmosphere and camaraderie you won’t find at other events, which is something we are exceptionally proud of and keen to promote. Fair City Enduro in Perth – Economic impact of £41,000 to local economy with an investment of £2,000 from Perth and Kinross Council. Whether you are working in the economic development department at a local authority, an estate owner seeking to diversify your business or a voluntary organisation looking to organise a fun-packed community event, the SMBC can help you achieve your aims. So, please contact the SMBC for an informal discussion on how we can help you with the planning and organisation of your next event. We are always happy to discuss your requirements with you and confident that we can add value to your initial ideas. Contact us to let us help plan your next event!